- Appendix of Ecological, Aesthetical and Landscape Planning of the Lugo-Orense high speed railway, Puebla de San Julián Bypass. For ADIF. Auding 2011. - Aesthetic and ecological restoration of degraded areas near high speed railway infrastructures in Catalonia. For ADIF. Auding 2010. 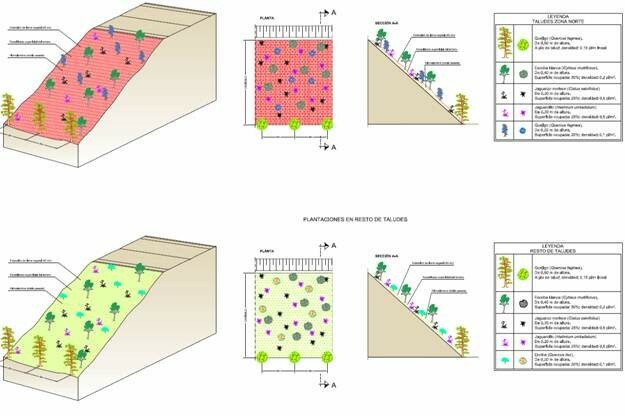 - Appendix of Ecological, Aesthetical and Landscape Planning of the La Aldea bypass road, La Aldea (Tarragona). For Ministerio de Fomento. Idom Internacional 2007. - Appendix of Ecological, Aesthetical and Landscape Planning of the Duero Highway, Soria Section. For Ministerio de Fomento. Idom Internacional 2007. 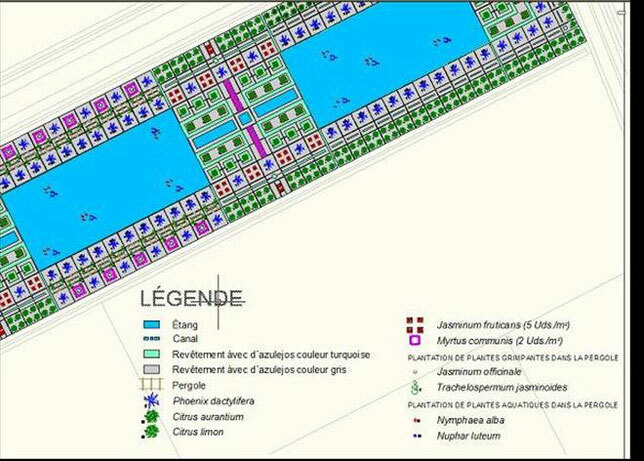 - Appendix of Ecological, Aesthetical and Landscape Planning of the A-50 Highway, Ávila section. For Ministerio de Fomento. Idom Internacional 2003. - Appendix of Ecological, Aesthetical and Landscape Planning of the Ágreda Bypass. For Ministerio de Fomento. Idom Internacional 2003. - Landscape integration of a steam pipeline between Interquisa Plant and the Gibraltar refinery. For Interquisa. Idom Internacional 2000. Appendix of Ecological, Aesthetical and Landscape Planning of the Infanzón-Grases section (Asturias), N-632. For Ministerio de Fomento. Idom Internacional 2000. 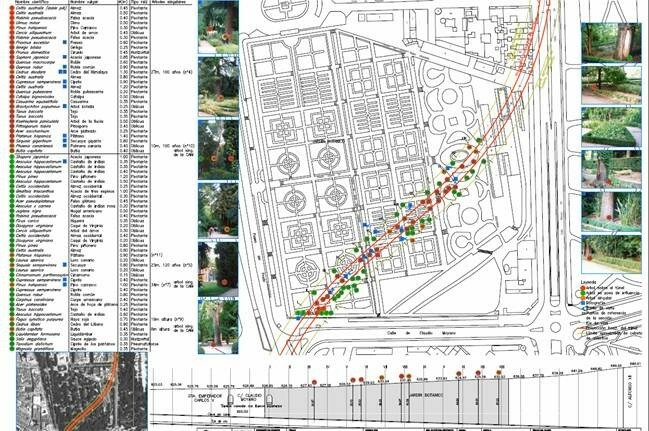 - Landscape planning of Bolueta Park, Bilbao. For Ayuntamiento de Bilbao. Idom Internacional 2006. - Gardening project of Vallecas Hospital, Madrid. For Riofisa. Idom Internacional 2006. - Gardening project of Hotel Tenerife Golf, Adeje (Tenerife). Idom Internacional 2006.